Downtown Newburyport Rivers Edge Condominium located on the Merrimack River with marina access, public park, and walking trails all adjacent to the association. Outside you have a private deck with 2 storage area's and a staircase that leads to the lush green lawn. 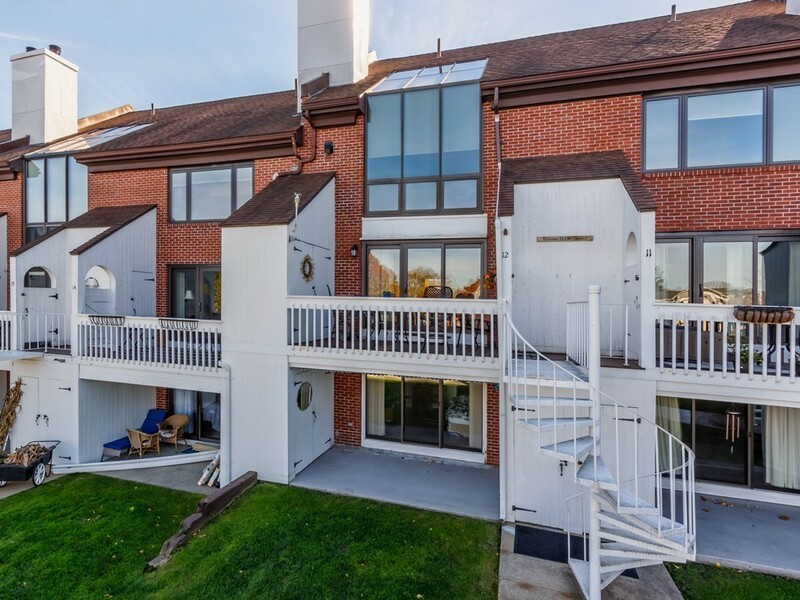 Inside this sun filled townhouse you'll find an open floor plan with views of the park and river, renovated kitchen with solid oak cabinetry; stainless steel appliances; and granite countertops. Hardwood floors lead to the the large living room with sliding glass doors to your private deck. On the second floor you have a large family room and master suite. The third floor which has a private bathroom and storage makes a wonderful guest suite or office. All new windows, AC condenser, and heating system. Move right in and enjoy!